Home The NewsMill Abdullahs eroded J&K’s autonomy: Sajad Lone. Abdullahs eroded J&K’s autonomy: Sajad Lone. Peoples Conference chairman Sajad Gani Lone Wednesday challenged the National Conference to “debate the erosion of state autonomy and the central role played by it.” He also slammed the NC president Farooq Abdullah for “adapting lies and deceit not just as a way of life but a cardinal aspect of their political doctrine, practiced and perfected over three generations in pursuit of power”. 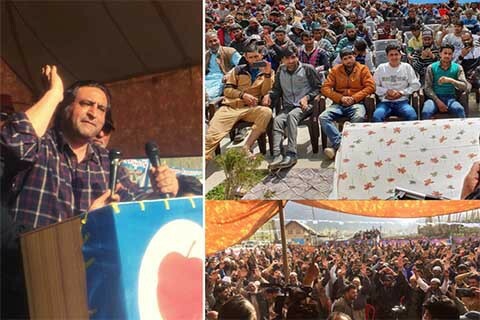 Addressing a gathering of workers in Khumriyal, Lolab, Sajad hit out at Farooq Abdullah for his statement that their family had always safeguarded J&K’s autonomy. “No other lineage in the state has singlehandedly trampled over the state’s autonomy as have the Abdullahs in pursuit of treacherous self-interest, and yet (they) have the temerity to continue lying unabashedly and peddling constant deceptions,” Sajad said, according to a statement issued here. He questioned Abdullahs’ 36-year-rule in intervals from 1975 to 2014 and asked the NC to “provide one instance where anyone from the three generations of Abdullahs, in successive stints in power, have made any serious efforts towards the reversal of the erosions meted out to Article 370”. “There have been 44 erosions in total, all undertaken either by the NC or their partners in crime, the Congress, their permanent allies and presently friendly opposition. Sheikh Abdullah after assuming power in 1975 made the following amendments: Constitution Order 100 dated 29-06-1975; Constitution Order 101 dated 23-07-1975; Constitution Order 104 dated 25-05-1976; Constitution Order 108 dated 31-12-1977; Constitution Order 122 dated 04-06-1985; Ordinance No. III of 1976 amending to section 4 of the Land Grants Act, 1960”. “It was during the elections of 1996 that the ensuing conflict put New Delhi on the back-foot. 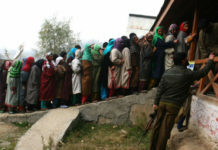 And desperate for political participation, it was willing to restore internal autonomy in Jammu and Kashmir,” Sajad said. “The then PM Narasimha Rao put forth the offer ‘sky is the limit’. This was the perfect moment—‘stalemate in conflict’—when Kashmir had a chance to redeem its special status and the bargaining leverage to extract a dignified deal from a beleaguered New Delhi. However, Farooq Abdullah stepped in and true to his legacy struck a deal to ensure his own return to power,” the statement read, quoting Sajad as having said. Sajad said that Farooq Abdullah yet again “chose to steal the rare opportunity of restoration of internal autonomy by contesting elections in 1996, when no party in Kashmir was ready to fight elections”. 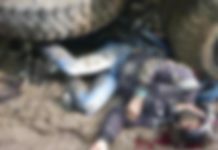 “This one act overshadowed the power of the moment and literally walking over the dead bodies of the victims of stolen elections engineered by the Abdullahs in 1987. Farooq Abdullah’s decision to contest elections squandered yet another opportunity and effected yet another betrayal. The surrender in 1975, robbery of 1987 and betrayal of 1996 are perhaps the last nails in the coffin as far as internal autonomy is concerned,” Sajad said. Alleging NC’s doublespeak on reversal of designation of PM and president of the state, Sajad said “it was under the stewardship of Sheikh Abdullah in 1975 that amendment to Article 368 of the Indian constitution was instituted which blocked the reversal making the demotion a permanent feature of the state polity”. “By accepting the designation to the post of chief minister in 1975 in a stark climb down from his previous position as wazeer-e-azam, Sheikh Abdullah endorsed the demotion and sanctified all previous erosions enacted to the autonomy of the state,” he said. Previous articleDialogue with all stakeholders can solve J&K crisis: Azad. Next articleNMDC embarks on digital transformation journey from new FY 2019-20.